Yesterday at TechEd Europe 2014, Microsoft announced that they added 30 new solution providers and ISVs with more than 50 products to their Azure Marketplace. This happened under a newt „Azure Certified for Application Services“ program. We at Derdack are very excited to have been selected as one of those 30 partners. It means that a preview release of Enterprise Alert vNext is now available on Azure. But there is a lot more to this than meets the eye at a first glance. Especially, as Microsoft kept this announcement pretty brief. I personally believe that offering a (probably rapidly growing) number of 3rd party ISV solutions in that Azure Marketplace will become a very crucial element to lure enterprises and businesses into the (Microsoft) cloud and to drive its adoption. Why? There are simply too many advantages to all involved parties. It makes it incredibly easy to deploy business solutions and enterprise software which are the backbone of many businesses that rely on IT (which does not, nowadays?). The deployment process of sophisticated products is simplified and significantly accelerated. This goes along with subscription pricing of software packages (still Microsoft offers a BYOL model). A trial of software is easier than ever before. And finally, businesses with critical and sensitive information that don’t want to trust public SaaS providers can combine the benefits of IaaS and with keeping a decent amount of control over their data and the related application. Simply, an awesome move! Like with app stores, Microsoft will get their share from any business application that is tariffed along with the underlying Azure VM. 3rd party applications are leveraged to drive Microsofts VM consumption and will drive Azure growth. Oh, it makes our life a lot easier! No more setup hassles for our prospects as they simply click a button to get presented a ready-to-test (or use) software. This helps big time towards a greater customer, one-touch experience. ISVs can now easily offer subscription-based payment models that are highly wanted be CAPEX-sensitive customers. I really like it a lot! (It does put a decent amount of pressure on the quality of your solution, though, in particular related to making it easier for your customer to understand the concept and to get started. But that’s a general trend anyway.). In the end, Azure Marketplace simply represents the business version of consumer app stores, except is not offering apps but business applications & solutions and delivers it from the cloud. 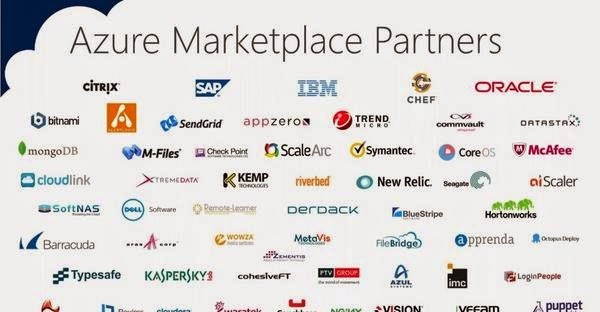 I am convinced that Azure Marketplace will have a huge impact on the way ISVs deliver their enterprise and B2B solutions to their customers. And it be an important milestone in adopting cloud computing (and Microsoft’s Azure). This holds an enormous potential and I am anxious to see how this idea is taken even further.